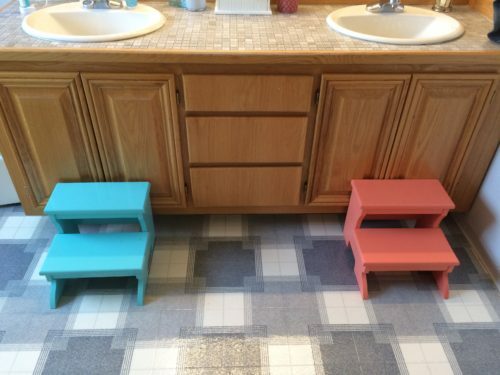 My wife requested that I make matching stepstools for our hall bathroom so that the smaller children could reach the faucets. 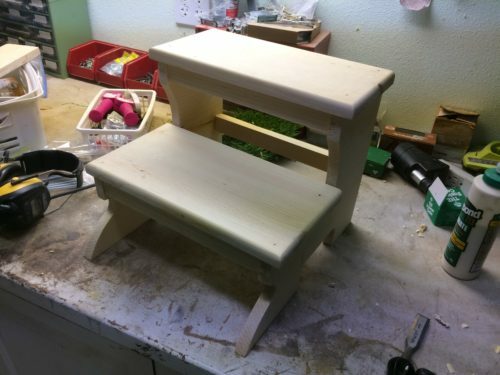 I used the opportunity to design a stepstool that could be carved out of a 1×12 and assembled in minutes. Here’s the X-Carve in action, cutting out the third stretcher. 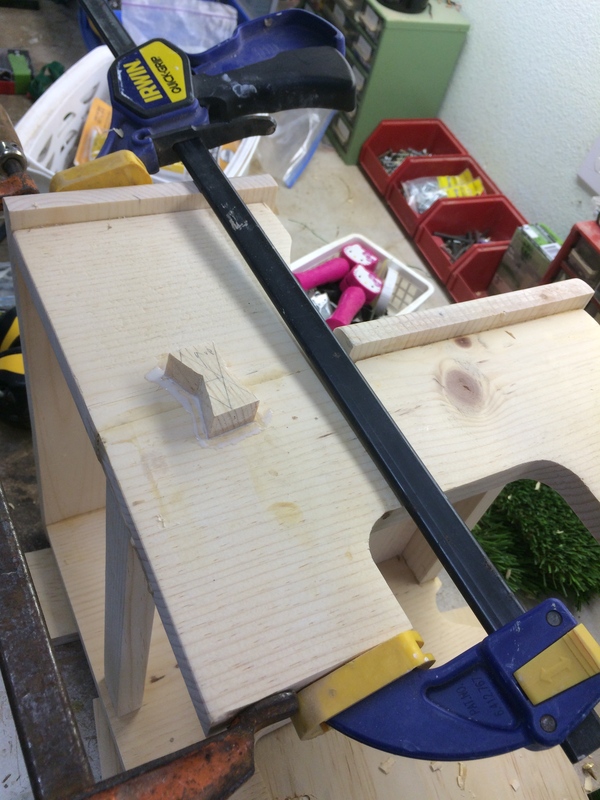 Clamp placement was tricky, but in the end, there were no issues. 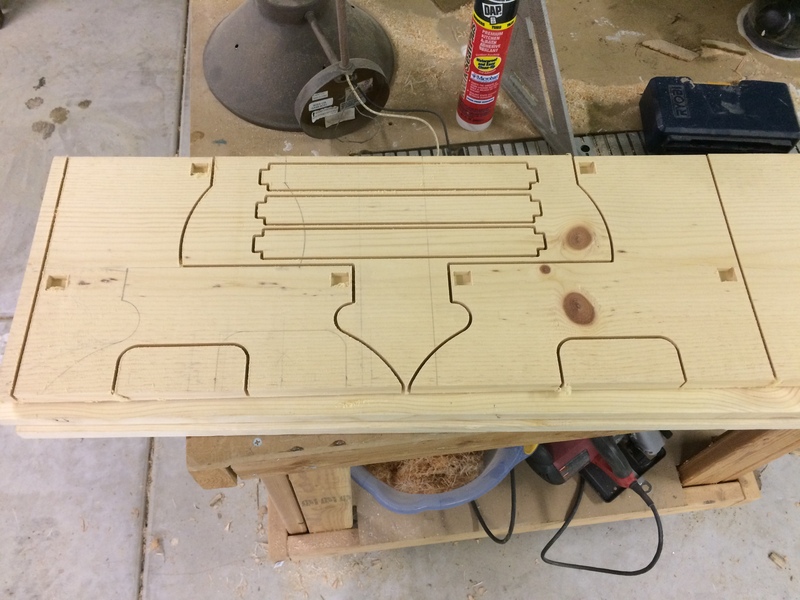 Here’s the finished carve of the bottom of the first stool. 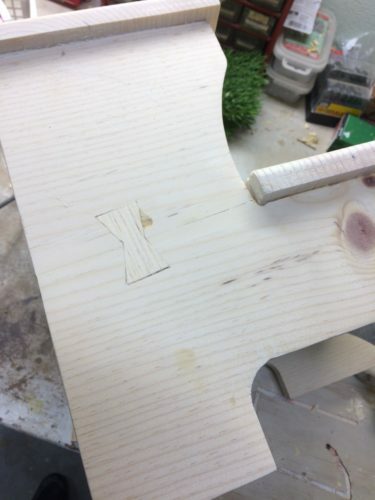 Each piece is only held in place by small tabs that snap off and then disappear during finish sanding. You could carve the treads out of another 30″ length of 1×12, but it’s easier to just cut them at the tablesaw. Each tread is 14.25″ long; the top tread is 6.5″ deep, and the bottom tread is 7.5″ deep. While I was assembling the stool, I clamped too hard and cracked it along a pre-existing check in the board. 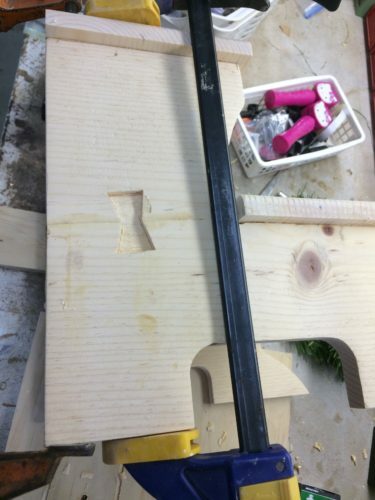 Just as the Chinese use the same word for “crisis” as they do for “opportunity,” I used this crisitunity to make my first butterfly key inlay. It’s a method of inlaying a piece of wood with the grain going in the opposite direction to strengthen the cracked wood. After a couple of coats of paint, you can’t see the butterfly anyway, but I know it’s there. 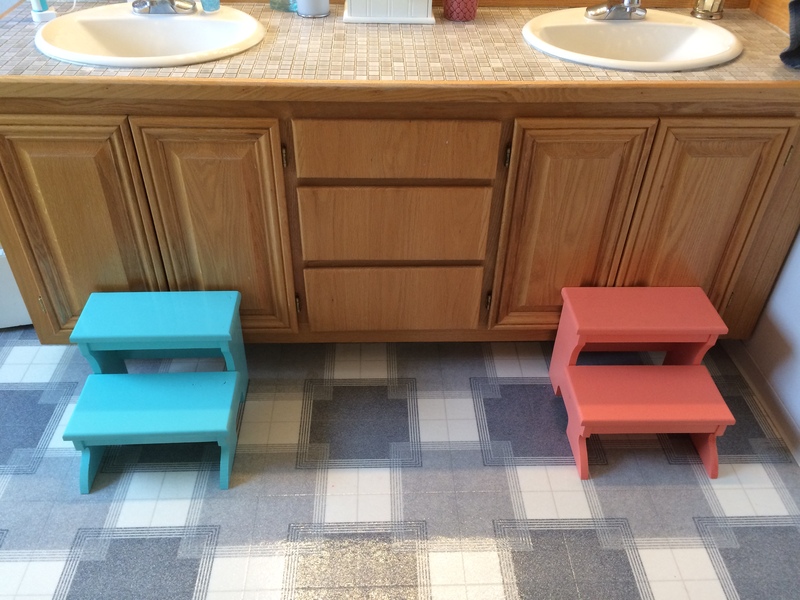 Here are the finished stools, just waiting for some little kids to stomp all over them. → Get yer laundry! Piping hot laundry! 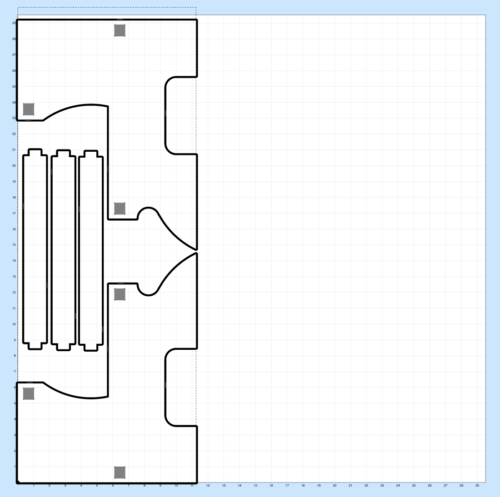 Are you sure there’s enough support to withstand racking? A child is going to come running and jump on the thing, causing lateral stress or dance on it putting forces in horizontal directions. If the joints are only glued and there’s only those two small cross support members, I’d be concerned the thing would collapse. Perfectly fine if the only force is straight down. 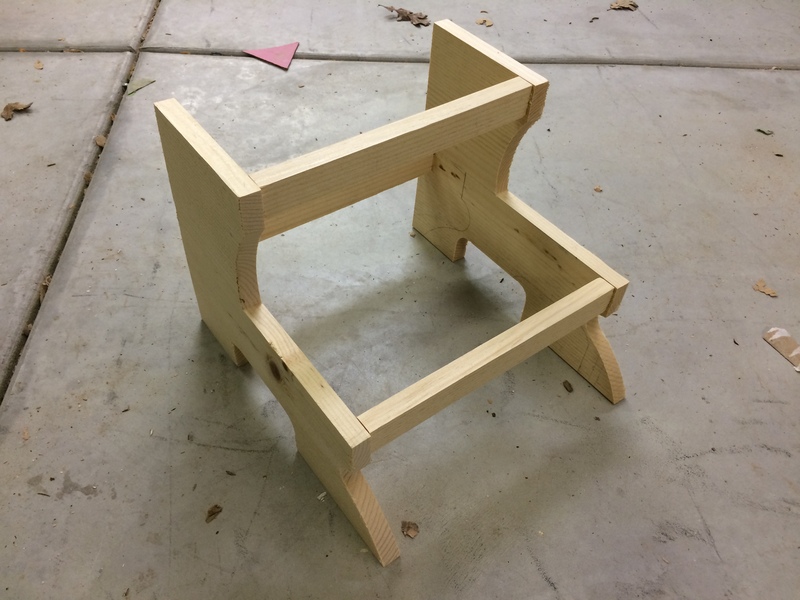 The photos are a little deceiving; there’s a third cross-member along the back of the stool. 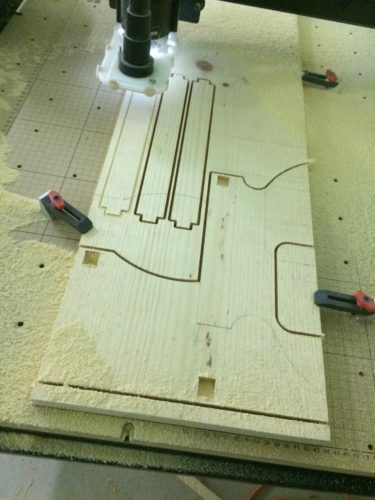 The steps themselves are glued and nailed down too. I feel pretty confident that they’ll hold up.